Thank you for your interest in purchasing the ASN Filter Designer! Please fill in the form below. After submitting your details, a representative will be in touch shortly. 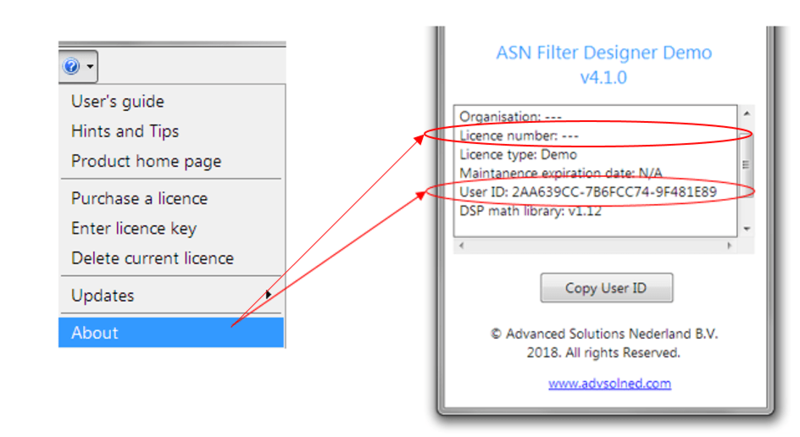 You can find your User ID and Licence number in ASN Filter Designer under ? (Help) -> About (see the Figure to the right). The Demo version doesn’t require a User ID, and the Licence Number is only needed for extensions.